Dubai: Optical illusion art or opt art made its debut at the Viltin gallery during Art Dubai, the international art fair. The style, best described as eye-dizzying, uses illusion to create the impression of space, depth and movement. 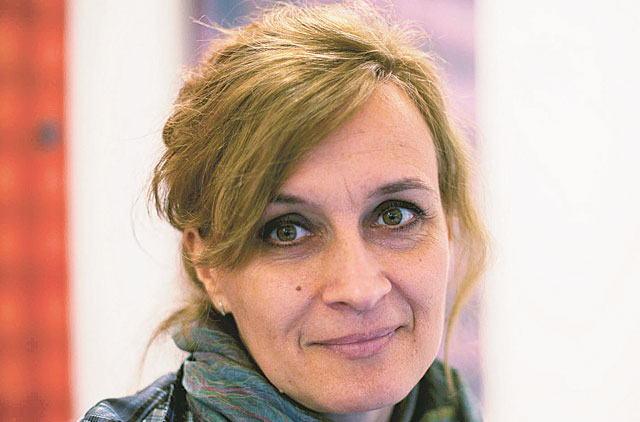 The gallery director Dian Krisztina told Gulf News that the art form is enjoying resurgence, but isn't mainstream. The optical art movement was thriving in the 1960s, led by artists British Bridget Riley and Hungarian-French Victor Vasarely, she explained. "Opt art creates a three dimensional world on a two dimensional surface. It used to be popular but it doesn't fit with contemporary art. However it has witnessed resurgence lately. The field is getting stronger," she said. When asked about the response to the art form at the fair, she said that the majority of people have been positive. "We have had several buyers from various countries including France and Iran. However it is not an easy art form to appreciate. "Though it is difficult to digest, I hope that there will be a place for it in the current art scene." Works by Hans Kotter and Jozsef Bullas are on display. Bullas used oil paints in his work influenced by his study of Islamic culture and Kotter used colour neon tubes — both play on the functional relationship between the eye that sees patterns, and the brain that interprets these patterns.